Today is the last day to post entries for the Positive Words Short Story and Poetry Competition 2014! And a prompt for your last minute entry or daily writing . . . Stamp your feet . . . It features the First and Second prize winning entries from the Positive Words End-of-Year Short Story & Poetry competition as well as lots of other great stories and poems – Valentine’s tributes, comedy, snapshots of past times, memories, writing prompts and more from writers all over Australia and New Zealand. If you would like a copy please send $5.50 (unused stamps accepted) to Sandra James, PO Box 798, Heathcote, 3523, Victoria, Australia. Overseas readers please contact me for Paypal and other payment options. Sample back copies for interested contributors or subscribers are also available. Send $2.40 in unused stamps for one copy or one $6 book of stamps for three recent issues to the above address. 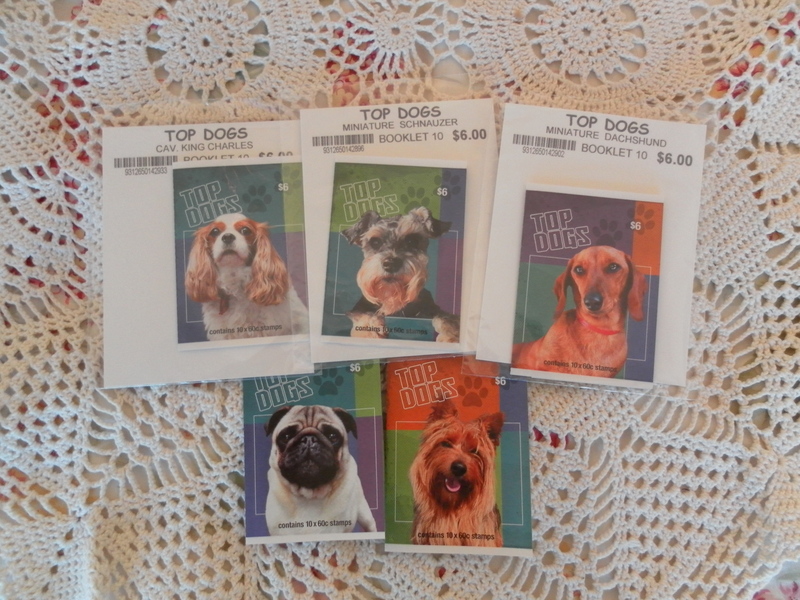 I love these new stamps 🙂 The Mini-Dachshund looks a lot like my Jasper when he was a bit younger (he’s gone a little grey now), and the Cavalier King Charles could easily pass for Clyde, one of my daughter’s dogs 🙂 And, of course, the Pug, Australian Terrier and Miniature Schnauzer are gorgeous, too! I think stamps look so much better than ‘Post Paid’ in the corner. I’ve collected stamps since I was very young, for fun rather than seriously, although my late brother and I watched like hawks when Mum shared out the latest offerings. Mum would carefully clip stamps from the envelopes and save them until she had a pile in the drawer (or we nagged until she gave up!). She tried to divide them evenly but toward the end of the pile there were always a few odd ones . . . the bargaining that went on over who should have which one would have rivalled the most ruthless boardroom negotiations! Poor Mum 😦 I’m going to put together an album for Jackie for when he’s older; living so far away I hope he’ll enjoy getting letters from Grandma and not just emails. 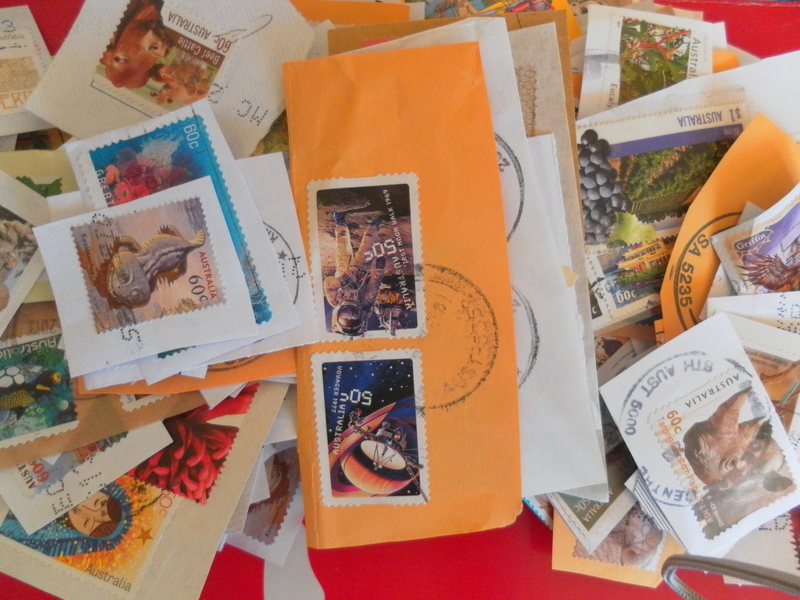 Thank you to all the wonderful people who send me used stamps. And, to those who include a couple of extra new stamps which their submissions ‘to help you with all that postage’; I do appreciate it. Competition entries, single issues and subscriptions can all be paid with unused stamps – it’s much cheaper and easier than money orders and many people don’t have cheque books. Every few weeks (and sometimes more frequently) I get one of these in my Post Box. 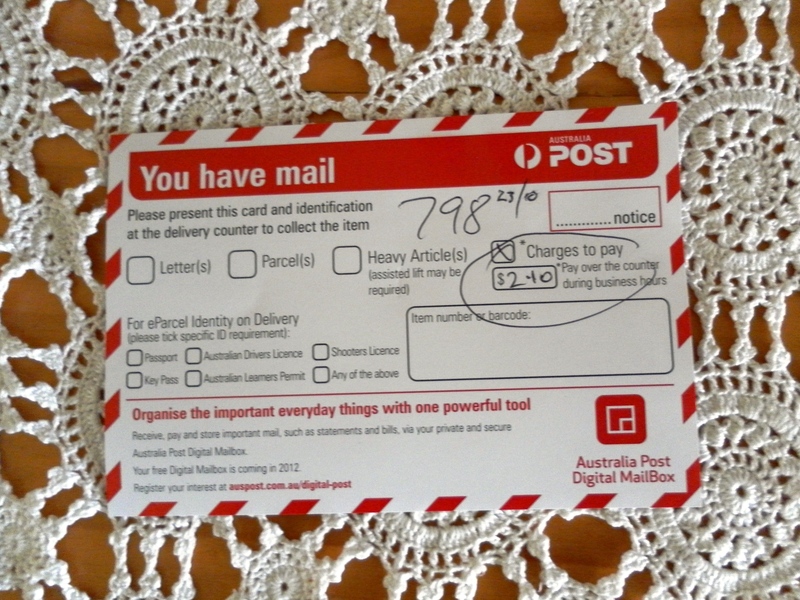 Effectively, someone has sent me a submission or competition entry but hasn’t put enough stamps on the envelope which means while they save 60cents, I have to pay a penalty which amounts to $2.10 for that 60 cent shortfall! And, I have to wait in line at the small and often busy PO instead of just collecting my mail and heading home. Admittedly, most people just haven’t realised, (perhaps because there are actually so few stamps on mail these days with so many pre-paid items) and they are happy to send me stamps to cover the cost when I tell them but some don’t which is a bit disappointing. 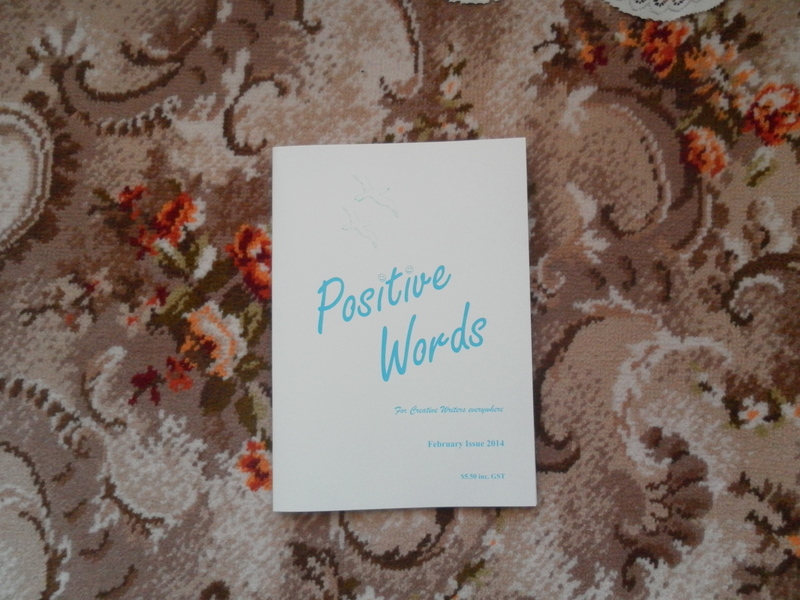 Positive Words magazine only just covers its printing and postage costs each month, meaning I do all the work (except printing) for free and don’t get anything for my time or those extra little bits and pieces (paper, power etc). So . . .please, please, please put the correct postage on your mail 🙂 for a quick reference that is – 60cents(Aus) for a small of business envelope (not too thick-under 20mm), $1.20 for A4 envelopes up to 125grams and $1.80 for up to 250 grams.